Summer camp is a ministry of The Salvation Army, combining physical activity with emotional care and spiritual growth. 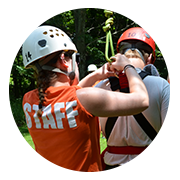 For many of the children who attend camp, this is an experience they never dreamed would be available to them. For others, it’s a chance to get away from difficult situations at home – a time and place to just be a kid again. 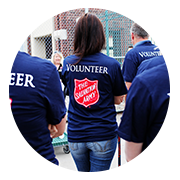 Click HERE to find your local Salvation Army for camper registration information. If you do not live in a county with a Salvation Army Corps Community Center, click the links below for a camper application and an information packet. Once completed, please return the forms to your county’s Salvation Army Service Extension Representative. A list of Indiana’s Service Extension Representatives can be found HERE. Our theme for 2019 is “Summer of Stories.” Each camp will have some activities involving various children’s books and stories. 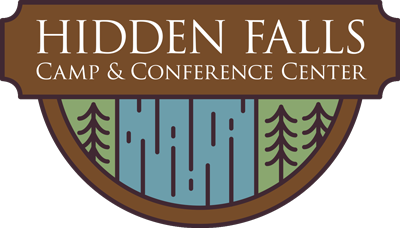 Camper arrival and registration will take place in Centerwood Hall on the first day of camp from 1:00 p.m. – 2:30 p.m. Camper Pickup will take place on the final day of camp from 9:30 a.m. – 10:00 a.m. This camp is for youth ages 7-12. It will have an evangelistic focus while introducing or continuing a child’s experience of the outdoors as God’s creation. Activities include fishing, hiking, games, various types of outdoor education, and more! Our theme for this week is based on the book “Wonder” and we’ll be exploring Kindness and how we can be kind in all we say and do. For youth ages 9-13. This will be a physically active camp. Campers will choose which camp to attend. Final camps will be announced soon, but we are hoping for Basketball Camp, Football Camp, Cheer Camp, Tae Kwon Do Camp, and a couple others. Kids AT South is for children and family member of the Indiana Army National Guard. 1. A gold star youth;2. the direct dependent, niece/nephew, or grandchild of a CURRENT Indiana National Guard Service Member; or 3. The direct dependent, niece/nephew, or grandchild of a FORMER member of the Indiana National Guard. This camp is for youth ages 12-17. These campers will be staying in tents, learning outdoor skills and gaining a more rustic camping experience. Some activity will take place off site. Regular devotions will take place in a campfire setting. For Salvation Army youth ages 9-17. This is a working camp for music instruction including brass, woodwind, vocal, guitar, percussion and more! 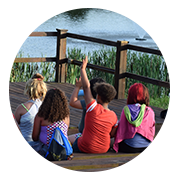 Campers will experience the beauty of nature and outdoors, while still have music instruction 2-3 times a day. (Community and Service Extension youth eligible to attend with school music teacher recommendation.) Our theme this year is “Into the Woods.” We look forward to sharing the music Stephen Sondheim while exploring various fairy tales. For Salvation Army youth ONLY, ages 7-8, who have an interest in music exploration. This will be a learning based camp where younger potential musicians will experience music and gospel arts activities as a preparation to be future music campers. Limited capacity. Youth must regularly attend corps activities and have Corps officer approval. This camp is for youth ages 13-17. It will be an evangelistic focused camp. Teens will have the opportunity for outdoor education while being presented with the gospel and tenants of a biblical lifestyle. This will be a Harry Potter-themed camp. Quidditch and Yule ball anyone? If you have any questions about summer camp with The Salvation Army, please fill out the form below.